We’ve used this picture before here, but the caption was too good to pass up. Effective and true. Somehow, this one reminds me of a genie crammed into a lamp. Too bad the spawn of Cthulhu would be far likelier to grant madness than wishes if released. 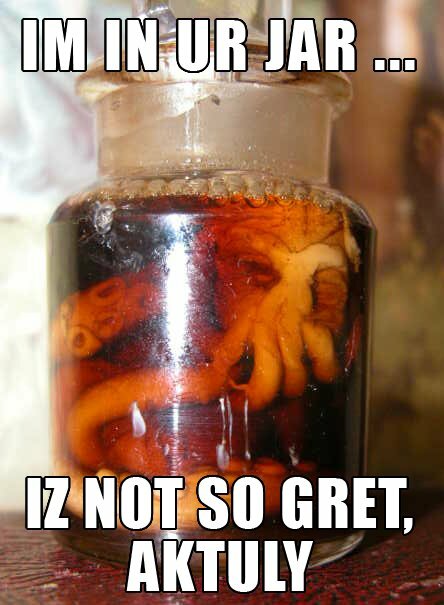 One of the best LOLTHULHU captions ever!